The powerful two-stroke engine 0.12 cu inch / 2 cc glow plug for sports / recreational boat models. It is equipped with a special head for water cooling, pull starter and flywheel recess allows starting the engine V-belt. Crankshaft fitted with ball bearings, the motor is supplied with single-needle RC carburetor and standard expansion muffler. The crankshaft has a threaded nut for M4. 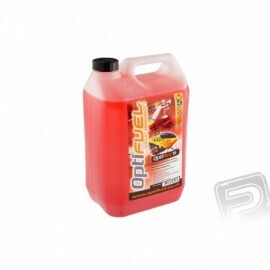 Recommended fuel tank: 50-100 ml. Recommended fuel: at least 18% castor or synthetic oil (or. A mixture of synthetic and castor oil), 1-15% nitromethane. We recommend using fuel with a low content of nitromethane at least - running engine is then really highly reliable and carburettor settings is easier and less sensitive to changes in temperature and other environmental influences. Recommended plug: ASP Universal 2/4 cycle, OS MAX No. 6 (formerly known as A3). Set engine includes: RC engine with a carburetor, flywheel and pull the starter, the expansion silencer, allen past 2mm instructions.